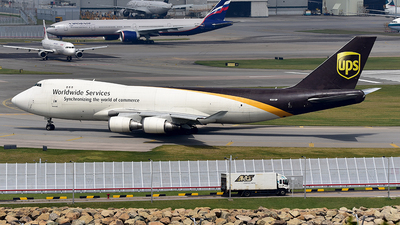 Note: 5X33 UPS33 to PVG Shanghai. 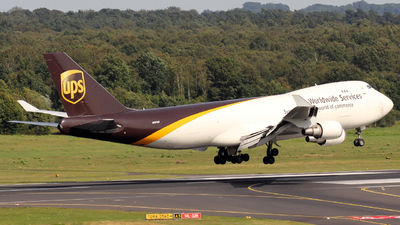 Note: 5X34 UPS34 fr. 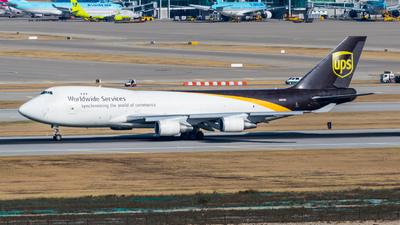 HNL Honolulu. 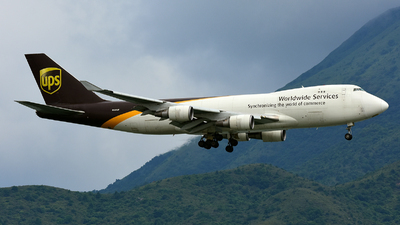 Note: Arriving from Honolulu as UPS32/5X34. 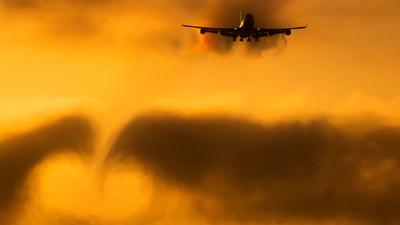 Note: Departing on runway 34. 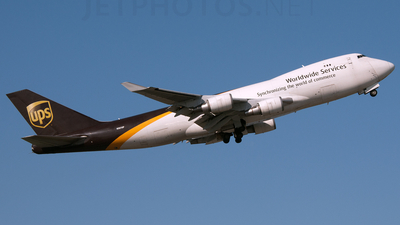 Note: Arriving from Honolulu (HNL) as flight 5X58 in the afternoon. 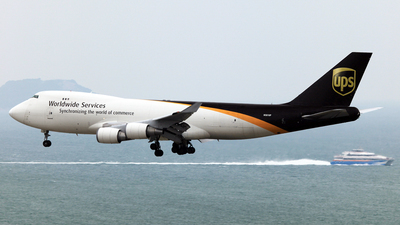 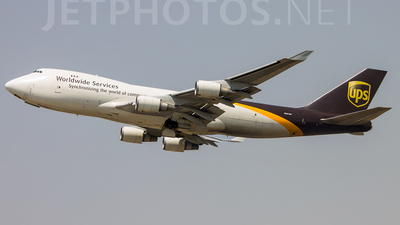 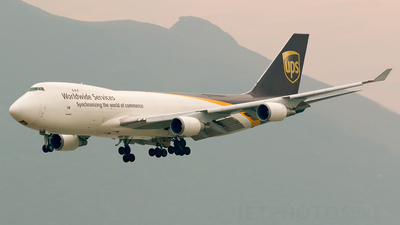 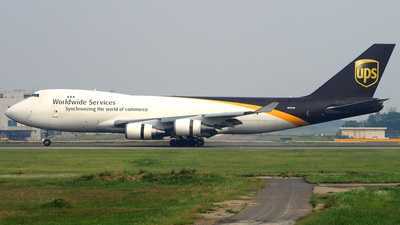 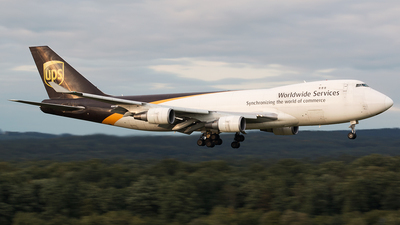 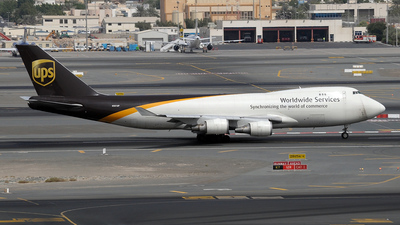 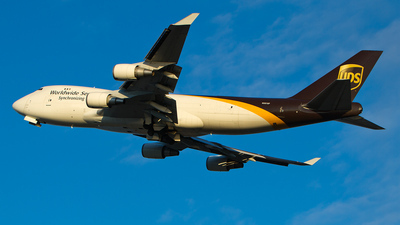 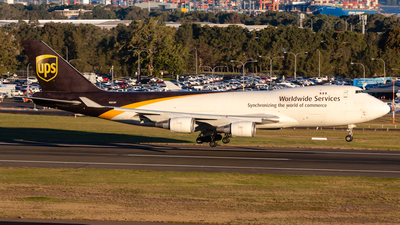 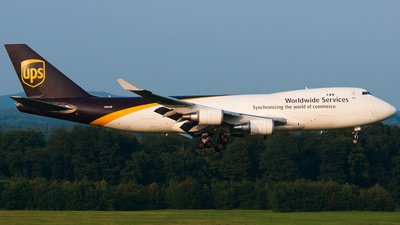 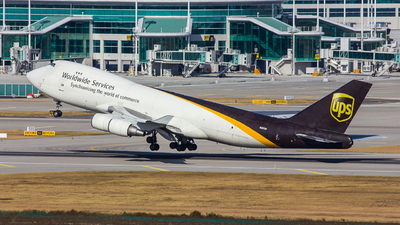 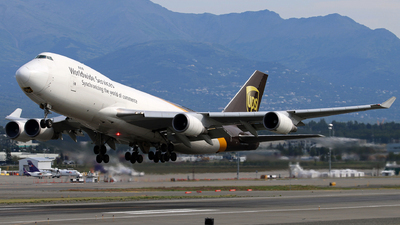 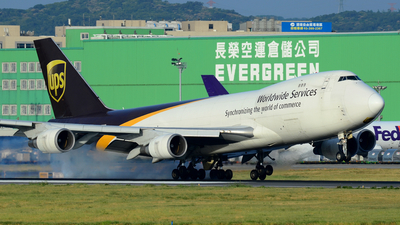 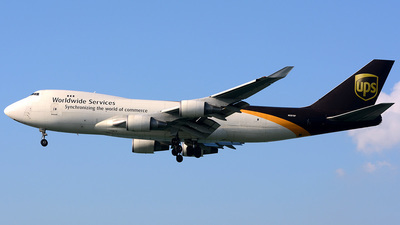 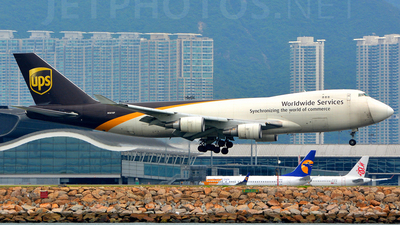 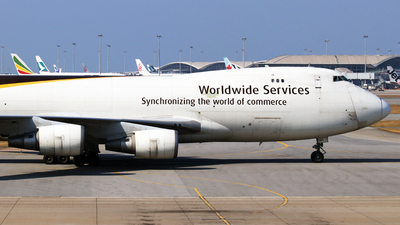 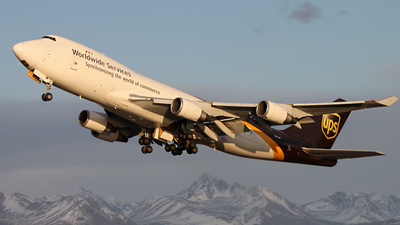 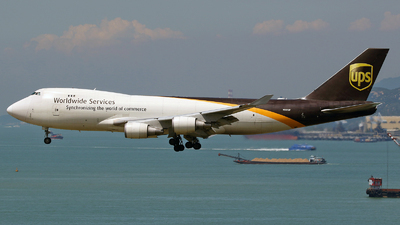 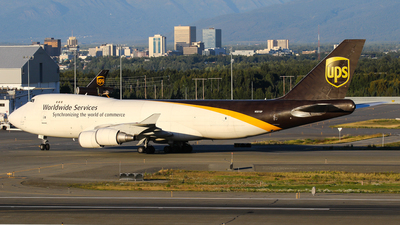 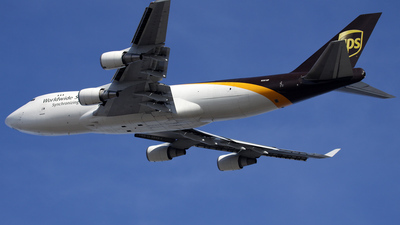 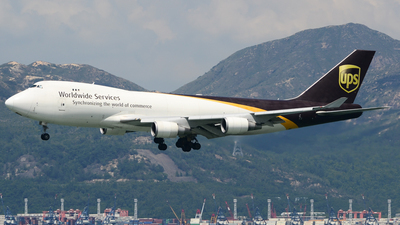 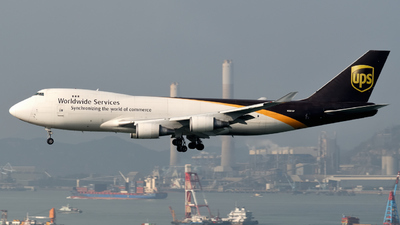 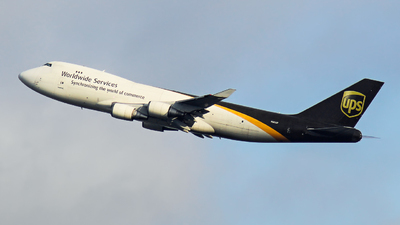 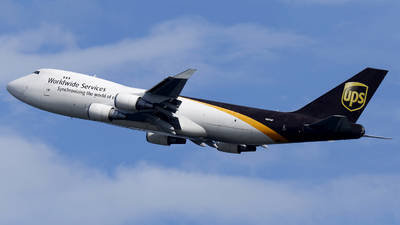 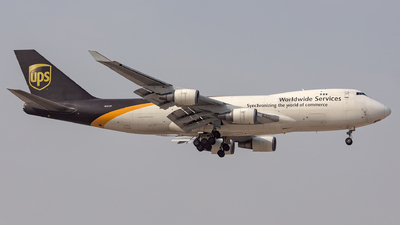 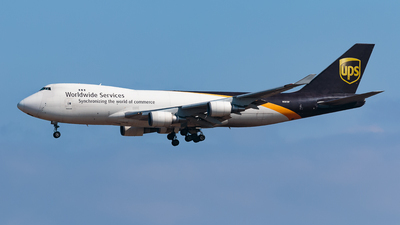 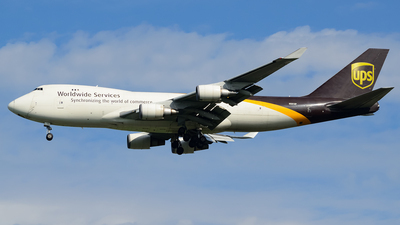 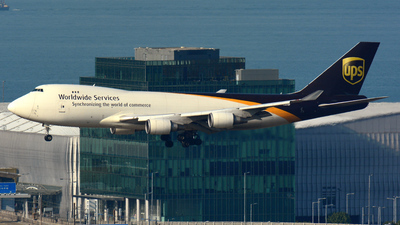 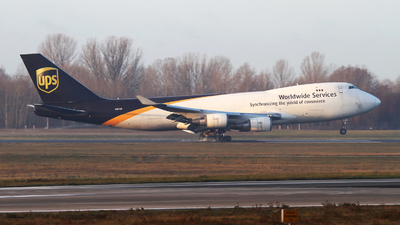 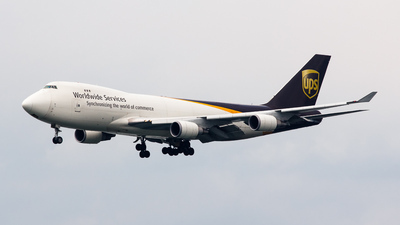 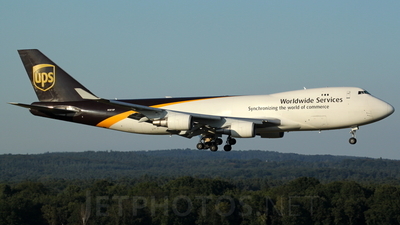 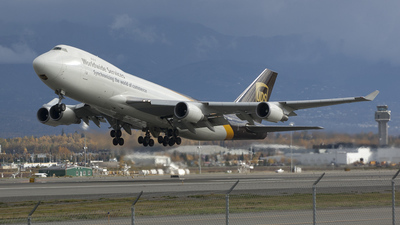 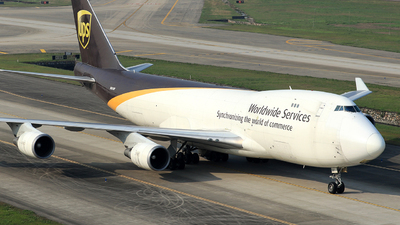 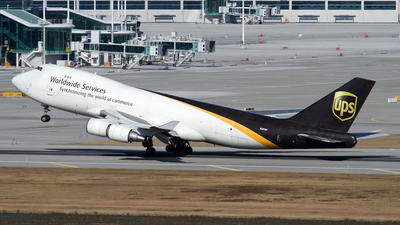 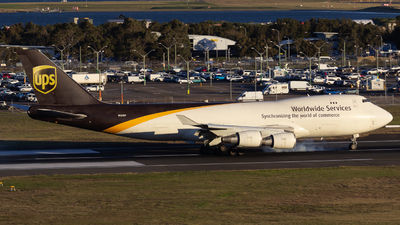 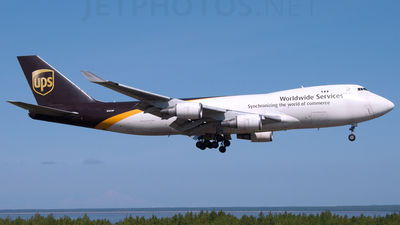 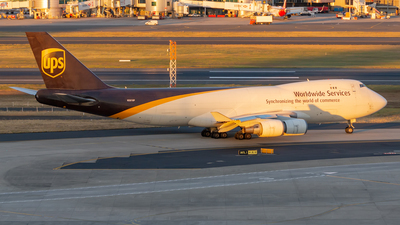 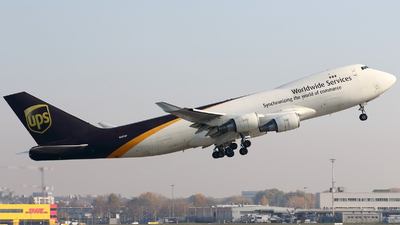 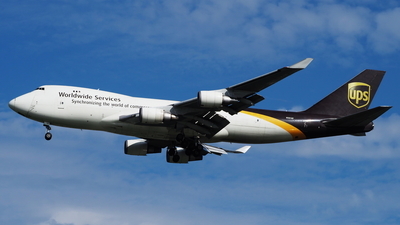 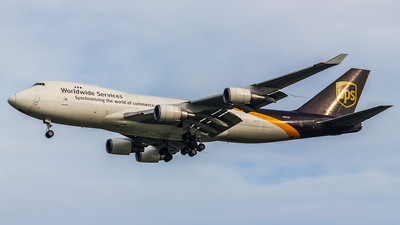 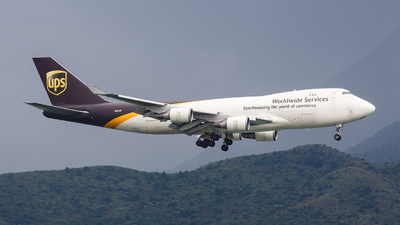 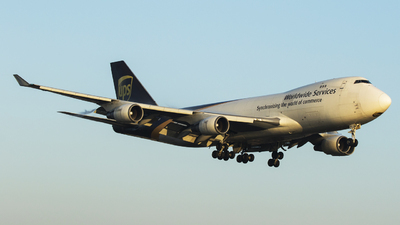 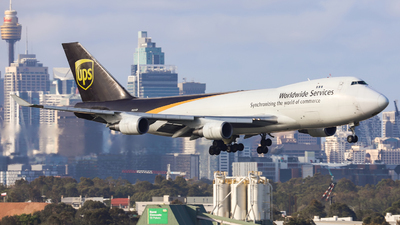 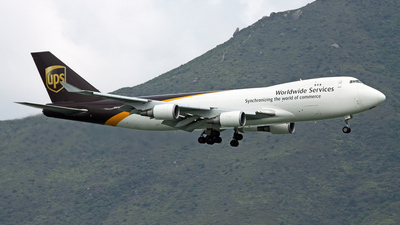 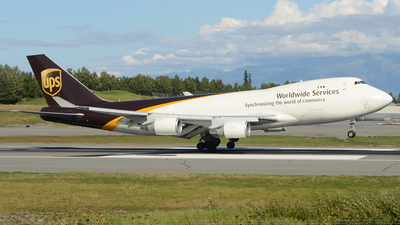 Note: Early arrival of this UPS landing at the usual 25L which is the prefered runway for freighter arrival. 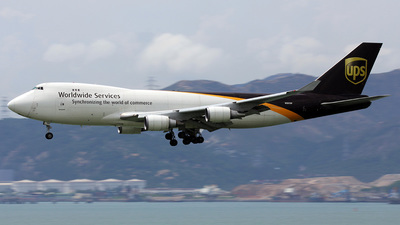 Note: UPS64 arrives from ANC. 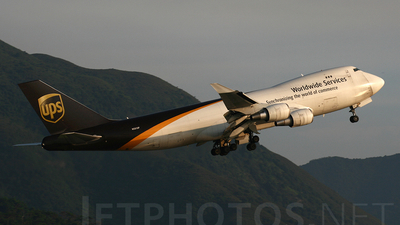 Note: short finals 07R - The hazy/smog clearly shows up against the setting sun at dusk.